"Birthday is a momentous occasion. A birthday is a time when a person acknowledge the anniversary of his or her birth." 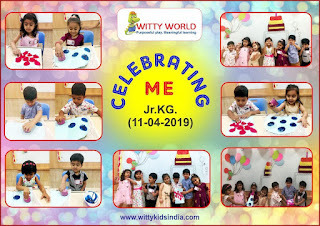 On Thursday 11, 2019 children of Jr. KG at Witty World, Udaipur participated in birthday celebration activity. They did various activities like preparing a birthday card, making birthday caps, wrapping gifts etc. 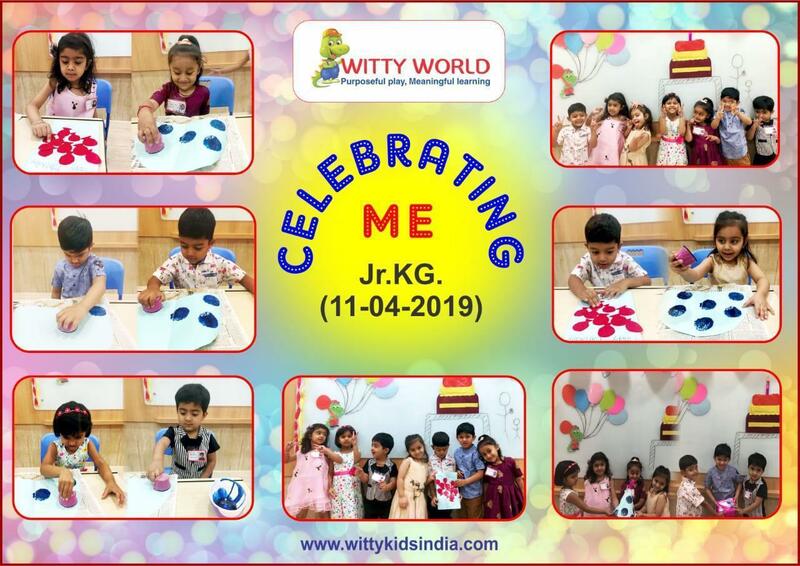 It was a fun filled and entertaining day for our little Wittians. This activity also brought a great boost to all children self esteem. Making them feel like Kings or Queens for the day was one of the best gifts given to them through the set curriculum.